This scholarship was endowed in honour of Frank Mathison Firth in 2001 by his daughter Elizabeth DiSabato, friends, and family. Awarded to outstanding students in the Department of History, this award pays tribute to Frank’s life-long passion for history. Frank Firth was born in 1932, the youngest of four children. He grew up in challenging times, spending his formative years in Kilmar, Quebec. Despite following in his father’s footsteps and becoming a Master Electrician, Frank always had a love of history and dreamed of becoming a professor of History. One of his earliest memories was of being home from school with the mumps and listening to the radio during the events of Pearl Harbour. Frank’s career touched on a number of historic projects. He worked on gyro equipment for the CF100 and CF105 Avro Arrow, maintained diesel electric locomotives used by the Quebec North Shore and Labrador Railway, and installed and maintained equipment used in the building of the Carillon Dam project. In 1967 Frank took a year away from his family to work as part of Canada’s Centennial Caravan which reached 655 smaller communities across Canada which were not reached by the Confederation Train. 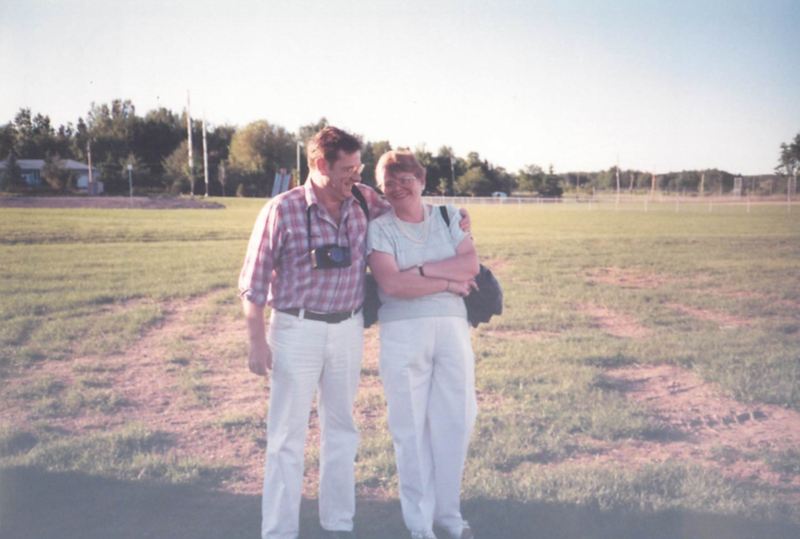 Outside of his career, Frank was a loving husband to his wife Sharron for almost 50 years, raised 3 children and was active in the Brotherhood of Anglican Churchmen and as a Leader in the Boy Scouts of Canada.